The bus/coach station is just a 2-minute walk from the airport terminal. Amenities include: Waiting facilities, onsite coffee shop, onsite newsagents, onsite payphones and toilets. Simply compete the quote form above and you will be provided with a list of all available transfer options for you to compare features and pricing. Our partner Looking4Transfers only works with trusted, reputable and fully licensed transfer providers who are well established with London Stansted Airport. So in order to find the best price from trusted and reliable bus and coach operators look no further, pre-book to guarantee your seat and enjoy a stress-free trip either to or from London Stansted Airport. You can currently pre-book two bus and coach providers who operate daily and frequent services to and from London. Many services have stops which access the London Underground and all key London train stations, including London Paddington, Waterloo, Victoria, Liverpool Street and Kings Cross/St Pancras. Service A21: Stansted to Liverpool Street, calling at Stratford. Service A20: Stansted to Victoria Bus/Coach Station, calling at Baker Street (Gloucester Place). Service A6: Stansted to Portman Square, calling at; Golders Green, Finchley Road, St John’s Wood, Baker Street, Paddington, Marble Arch and Portman Square. Service A7: Stansted to Victoria Coach Station, calling at; Bow, Mile End, Whitechapel, Southwark, Waterloo, Victoria Train Station and Victoria Bus/Coach Station. Service A8: Stansted to Kings Cross, calling at; South Hackney, Bethnal Green, Shoreditch, Liverpool Street, Farringdon and Kings Cross London (bus stop is adjacent to St Pancras International Train Station). Service A9: Stansted to London Stratford, direct service to London Stratford. If you want to travel from or to London Stansted Airport you can pre-book a bus or coach service to and from all of the larger UK cities, other London Airports and the majority of the bigger towns and popular places of interest. 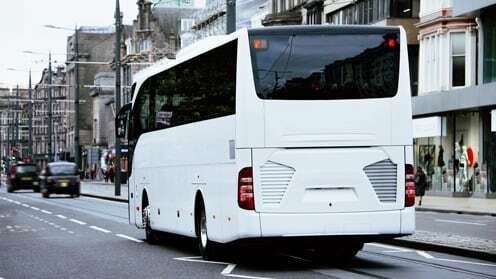 Many destinations have a direct bus and coach service, others may involve a change, but by completing the quote form above you will be given all the information prior to booking so that you can choose the best service which suits you for your journey. Those who require accessibility services will be able to find a full range at our coach station. How do I get to the bus and coach station at London Stansted Airport? The bus and coach station at London Stansted Airport is ideally positioned opposite the main terminal entrance, making travel to and from London Stansted convenient and hassle-free. How often do bus and coach services operate to and from Stansted Airport? Bus and Coach services operate 24 hours a day. There are over 200 daily services alone which operate into London. There are approximately 10 daily services to key destinations such as; Birmingham, Cambridge, Colchester, Coventry, Gatwick, Heathrow, Ipswich, Luton, Norwich and Oxford. Other destinations have daily services but the frequency does vary. Simply complete your start and return destination, date and preferred time of travel and the number of passengers on our transfer booking widget at the top of this page and you will be shown details of the providers who operate a service on that day and details of available service times. In most cases you can pre-select the service time you wish to take and which suits your needs and requirements. Yes you can buy tickets on the day, however we suggest you pre-book your tickets so that you are guaranteed a seat on the service which best accommodates your flight and that you receive the best price possible for your journey. What is the luggage allowance for the bus and coaches? The luggage allowance does slightly vary with each bus and coach provider, you will find detailed luggage allowance information when you click on the provider information when you have your search results for the route you wish to book. As a general rule most providers allow you to take up to 2 medium sized suitcases or rucksacks (no more than 20kg per item) and one small piece of soft hand luggage free of charge. You must be able to store your hand luggage in the overhead rack or beneath your seat. What if my plane is delayed and I miss my coach or bus? We strongly advise that you pre-book a service which factors in extra time to allow for flight delays and any other unforeseen circumstances. All of the bus and coach providers that we work with allow you to take the next scheduled service which has available seats at no extra charge if you are subject to a flight delay. For full terms and conditions please read our Transfer Terms & Conditions. When you complete the search form you will find the approximate time the journey will take to or from your destination. Please note however that this is an approximate time only, this is dependent upon traffic and if there are any roadworks or accidents which may occur on that day, please also be aware at peak times of the day especially when travelling to and from London it can take much longer. We therefore strongly suggest that you allow at least a minimum of 4 hours prior to your departure flight time if you are travelling from London to Stansted Airport.